Hello everyone! Sorry for this week's "radio silence"... 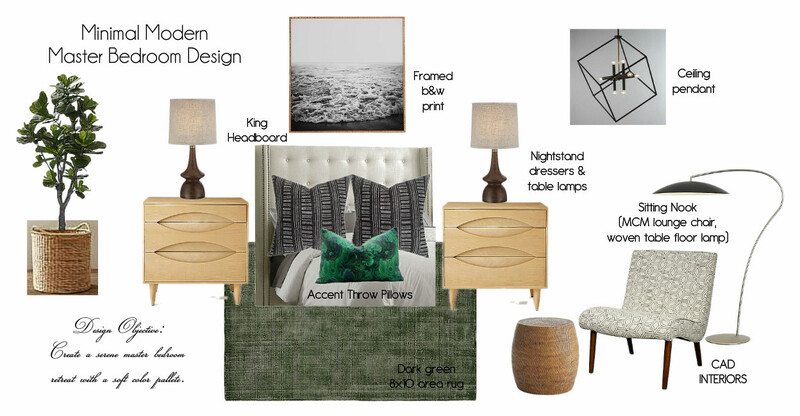 I'm back today to share a recent design board for a master bedroom retreat. The goal of this design was to create a calm and serene modern bedroom oasis. I accomplished this by staying within a minimal color pallete of white, green, and black. 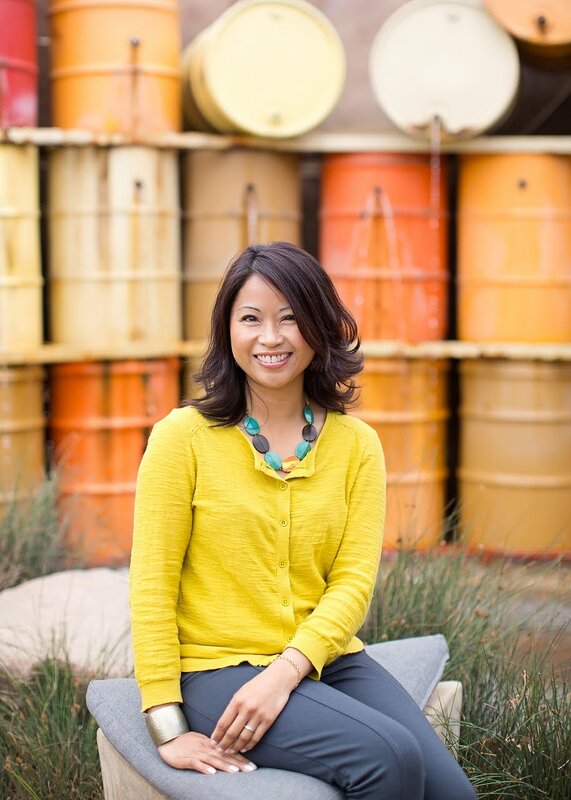 Deeper green hues are very "on trend" in interior design right now, so I was very excited to use it for this design! I also brought in some upholstered pieces, including the headboard and lounge chair, to add some softness to the room. Pairing these pieces with warm woods and woven elements adds texture and dimension. My e-design promotion is still running. Contact me today if you'd like to take advantage of this limited time offer!